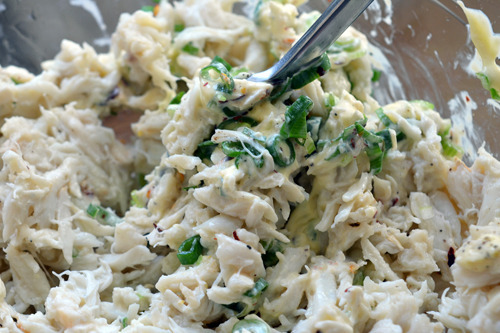 The hardest part of this recipe is making the homemade mayonnaise. 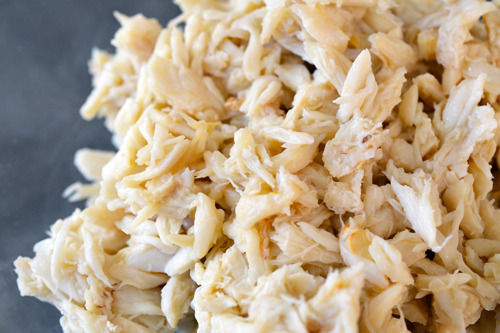 If you already have some on hand, you can have this dish on your table in 5 minutes. I assembled my ingredients and chopped my herbs. 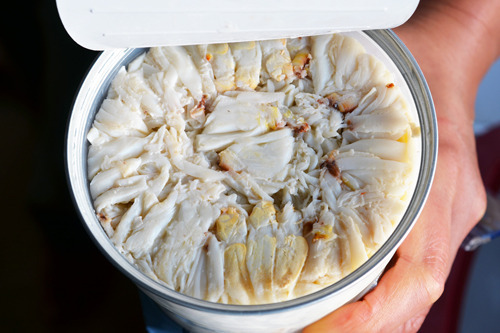 Then, I cracked open the can ‘o crab and squeezed out the extra liquid. 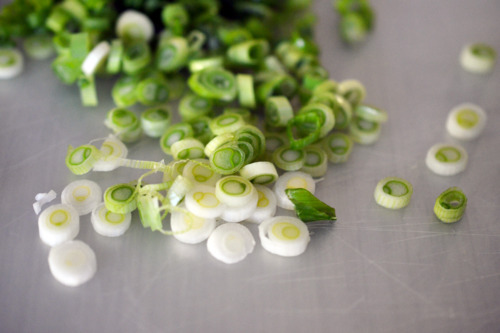 …and mixed in the scallions, parsley, salt, and pepper. Next, I added the mayonnaise and the lemon juice. 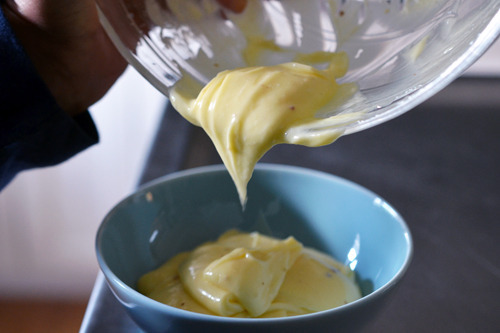 Taste it to see if you need more mayo, lemon juice, salt, or pepper. 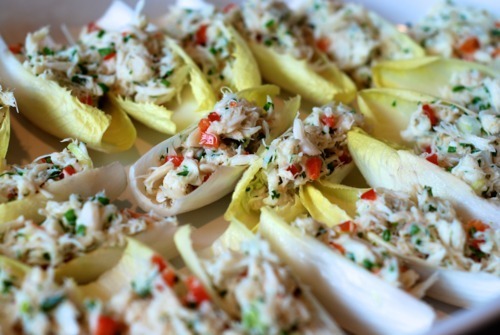 Serve it over greens and top with avocado or guacamole. 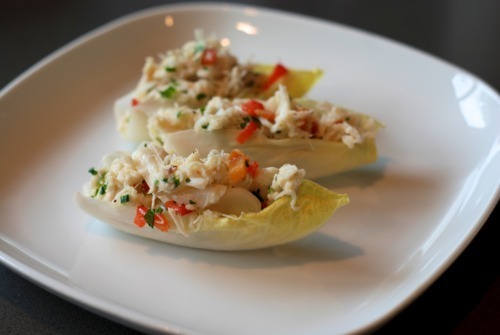 Or, if you want to throw together a quick appetizer, mix the crab salad with some finely-diced red bell pepper and spoon it in some endive spears.